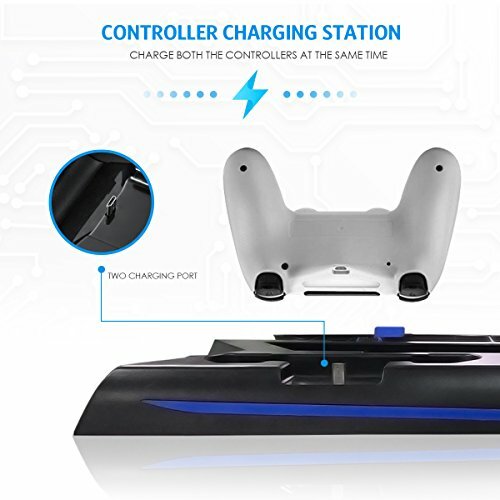 【2 CONTROLLER CHARGING STATIONS 】2 build in charging ports are designed for PS4 controller. 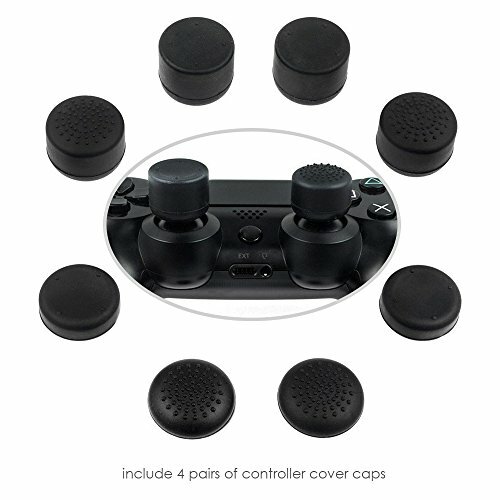 They are both a stand and a charging station that offer a longer playtime to your controllers. Meanwhile, they also can save spaces and make your devices tidy. 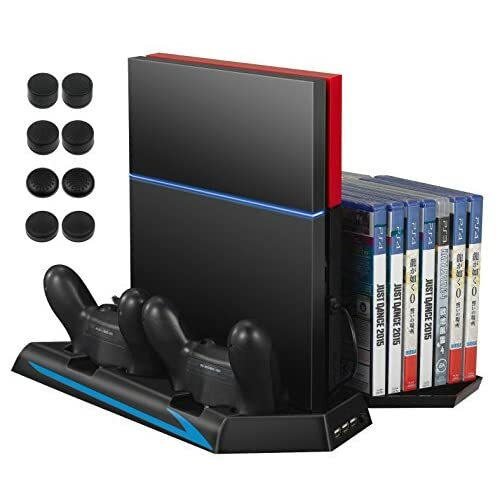 【GAME DISC STORAGE 】Constructed with 14 slot Game disc storage area, you can easily store your game discs close to your PS4. 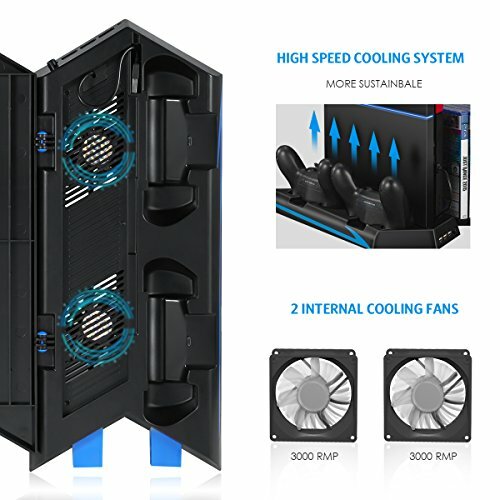 Space saving! 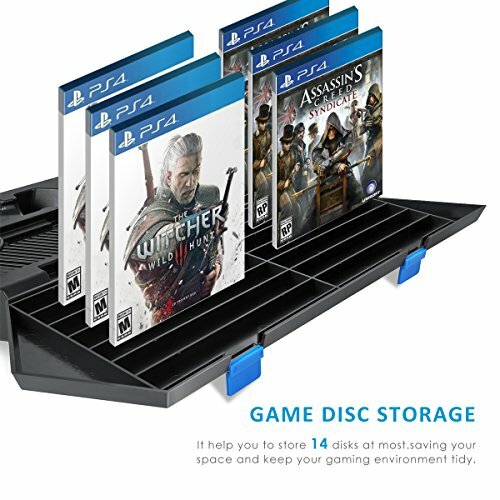 No need to buy another game disc storage tower. Money saving! 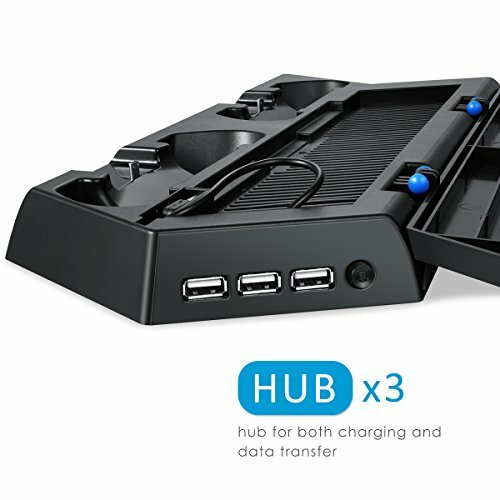 【3 HUB PORTS 】Added with 3 HUB ports to charge other devices which may needed to play with the game. 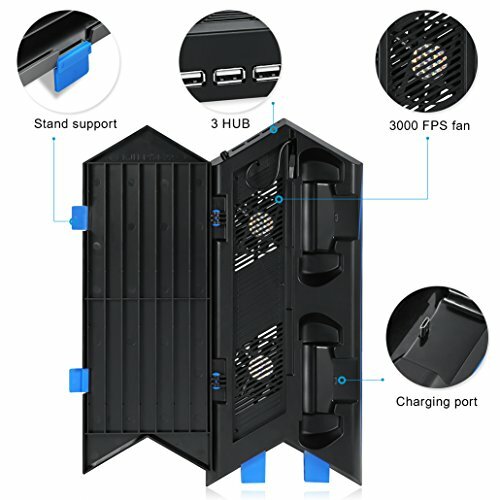 Compared to other charging station that has 2 USB, our product is multifunctional and enables you connect other devices like tablets, phones and cameras.